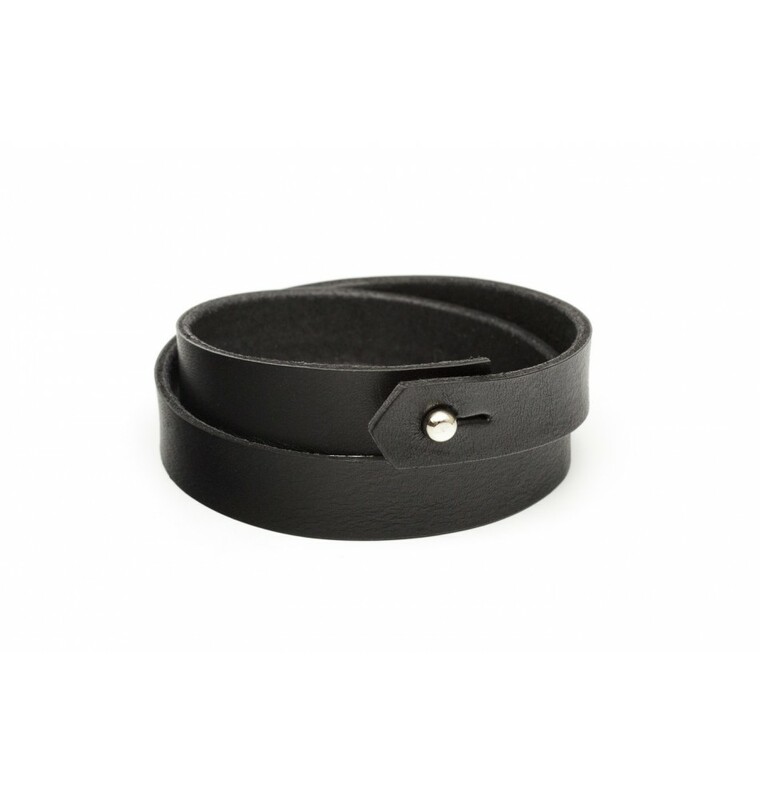 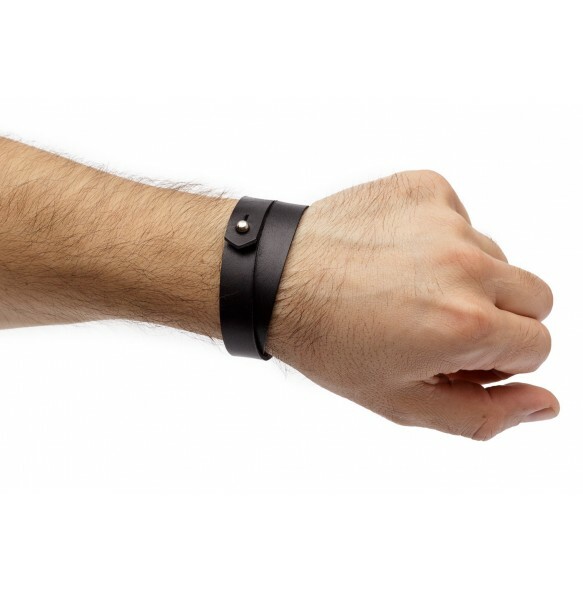 The bracelet is made of vegetable tanned leather. The beauty of the leather is the patina it gets with time-passing. 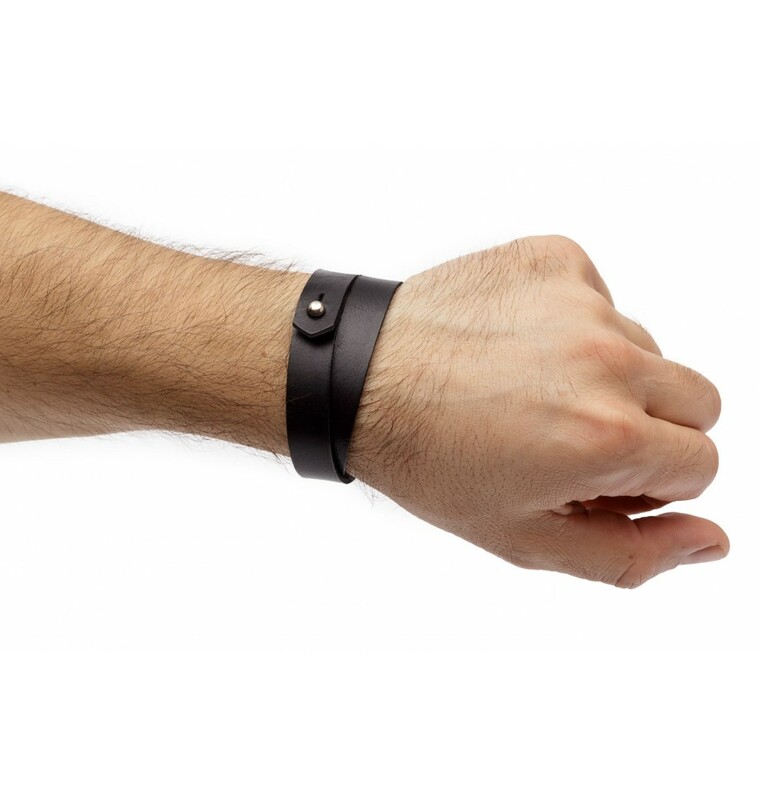 The bracelet is wrapped 2 times on the wrist and closes with a small chrome button stud.